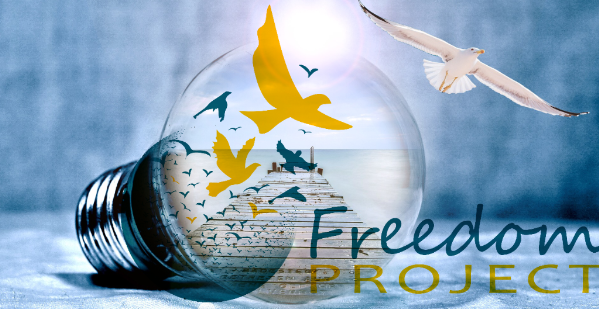 Freedom Project announces the next installment in its quarterly professional development series for prison volunteers on August 22, 2014 with an intensive day-long workshop, facilitated by Freedom Project mindfulness facilitator Yarrow Durbin. This workshop is designed for anyone interested in learning the fundamentals of Mindfulness Meditation, as shared by Freedom Project in prisons. • experience how Yarrow Durbin uses the Path of Freedom curriculum to introduce mindfulness concepts, elicits people’s participation and responds to challenging questions. • discover comprehensive field-tested approaches to teaching many different elements of mindfulness which help prisoners transform their relationship with themselves and find a sense of freedom and positive empowerment. If you’ve been curious about mindfulness and wanted to share this practice with others, this workshop will give you an overview of the essentials of mindfulness based stress reduction, emotional intelligence, radical responsibility, and transformative justice, which are covered in the Path of Freedom curriculum. This workshop will prepare you to reap the full benefits of the on-line facilitator training, if you choose to pursue it. No matter what your experience level with teaching mindfulness, you can rest assured that you will learn something new. To register (or for further information) about this program, send an email to SeattleFreedomProject@gmail.com with your name and phone number. You can also call 206-325-5678 and leave a voicemail message or talk directly to Registrar Tim Conbere weekdays between 8 and 11 am.